Our Story — Operation Jabez, Inc. Learn about how Operation Jabez began and the incredible legacy that has been left behind by our founder, Carol Gleeson. Operation Jabez began as a collaborative effort between Carol Gleason, an American missionary from New Jersey, and Guatemalan Pastors Erick and Olga Esquite. Carol was a woman of great faith and sincere love for the people of Guatemala. She wanted to do something that would not only train Americans in mission work, but would also empower the Guatemalan church to reach their nation for Christ. Compelled by the prayer of Jabez (1 Chronicles 4:9-10), she began asking the Lord to expand His Kingdom in Guatemala. 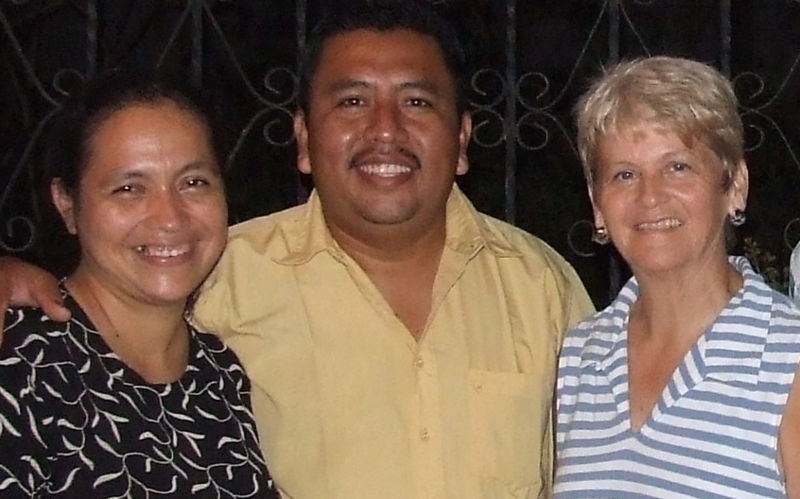 One day, Carol approached Erick and Olga with the idea of forming a ministry to reach Guatemalan people with the Gospel and equip them to share it with others. The Prayer of Jabez had been on their hearts as well, and they quickly agreed to move forward in establishing Operation Jabez together. In 2007, Operation Jabez was formed with the purpose of encouraging and equipping Guatemalan pastors and Church leaders, promoting evangelism in Churches, and reaching the next generation for Christ. The ministry also became active in breaking the cycle of poverty by providing people the opportunity to develop life-skills and receive job training in an environment where they could hear the Gospel and see the love of Christ demonstrated. Carol and the Operation Jabez team grew the ministry to a thriving organization whose influence still reaches over a quarter of the country. After years of hard work and dedicated service to Christ, Carol went home to be with the Lord on October 13, 2013, following a sudden battle with her health. Her loss is deeply felt by many, and her influence remains strong - not only with those who knew her but also among countless others who have experienced Christ through her ministry. Operation Jabez has continued to move forward with the vision that God placed on her heart. Now, with the partnership of Ground Zero Masters Commission, we are building upon the strong foundations that have been laid and the legacy of faith that has been left behind. What began as the prayers of one woman has multiplied into a team of faithful disciples who are serving the people of Guatemala every day. Through evangelism, discipleship, education, and relief work, we are investing our lives into building the Kingdom of God.